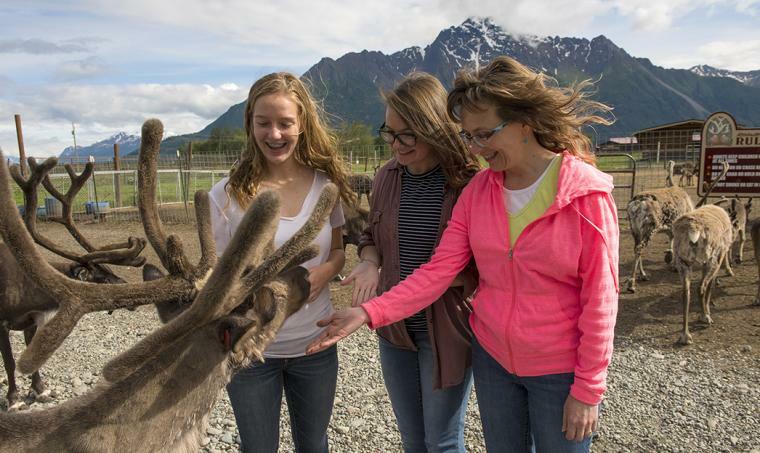 With spectacular views of Pioneer Peak and the Butte, the Reindeer Farm is a memorable stop on any visit to the Mat-Su Valley, particularly if you have kids in tow. At the farm, you have the opportunity to pet and even feed the reindeer, something that makes kids&apos; faces light up with excitement. The farm, located at 5561 Bodenburg Loop, dates back to the 1950s, when it was a dairy farm. Tom Williams grew up there in the Colony barn and house that is still standing today. In 1987, Tom went to Northern Canada and brought back a herd of 20 reindeer, establishing the farm and teaching them to eat grains and hay. Throughout the years, the herd grew to upward of 300 reindeer, although today the herd stands around 150. Today, the Williams&apos; daughters handle much of the day-to-day farm operations, and they have visitors from around the world stop in to pet and feed the reindeer. They&apos;ve added quite a bit to the farm, as there are now 30 Rocky Mountain Elk, 20 horses and a bison living there. In addition to tours with the animals, the farm also operates horseback ride tours up the Butte. Throughout the off season, the farm hosts special events that have become traditions in the Valley, including the Fall Family Fun days and Christmas at the Farm. In the summer, the farm is open 10 a.m. to 6 p.m. for tours seven days a week through Sept. 6, then with limited days and hours through the end of September. 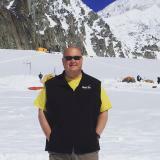 You can make a grand adventure of your day trip to the area by visiting the Reindeer Farm, then climbing the Butte for spectacular views of the Chugach Mountains and the Matansuka Valley. Finish your day off by picking fresh Alaska Grown vegetables at the Pyrah&apos;s Pioneer Peak Farm, right next to the Reindeer Farm. Visit the Reindeer Farm online for more information.